If you've been around the blog world for a while, you probably have come across a Project Pan series or two before. For those who don't know what Project Pan is, this is what it is about: basically, you go on a no-buy or low-buy until you use up the things you already have. I'm sure everyone has experienced that point where your bathroom or vanity is overfull of half-empty products, and yet you keep on buying more. The idea behind Project Pan is to (a) finish using the products you already own (or, if you hate them, throw them out!) and (b) not buy products that you already have. So I will be repurchasing things I finish, or buying things that I still need, but no more wasting money on things I already have in my collection. My stash of Lush bath bombs and bubble bars had grown to ridiculous proportions after Valentines Day, my birthday and Easter! (Especially when you consider that my apartment doesn't have a bath!) 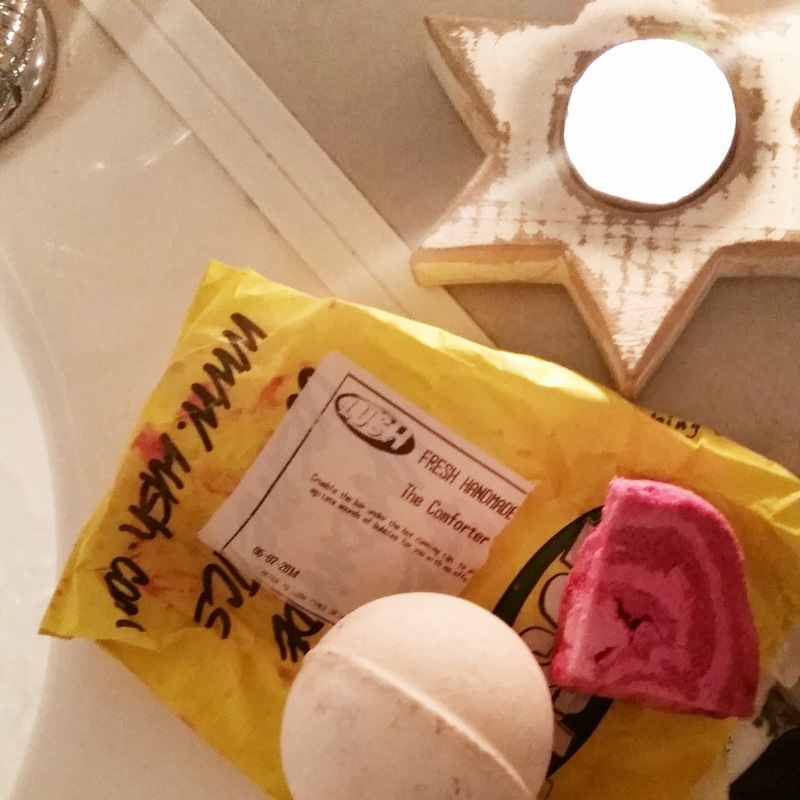 Now that winter has finally come around, I've been having a hot Lush bath or two every time I go visit my parents! When I started Project Pan, I told myself I was not going to buy another bath goodie until I had used up the ones I already had, and this weekend I finally hit that milestone! Will I repurchase? I might pick one up again if they return next year, but only for the novelty factor. This one seems simple, but it's got a few tricks tucked up its sleeve! Fizzbanger has a complex toffee scent, and if you're not a fan of the sweeter Lush scents I'd recommend you give this one a sniff. Hiding beneath the yellow surface is a bright blue core, and as this bath bomb fizzes away, the colours swirl together to produce quite a show! The result is a bright green bath. Will I repurchase? Yes I would. It was fun to watch, I liked the final colour (I was rather pleased I didn't end up with a pee-yellow bath!) and the scent was pleasant. 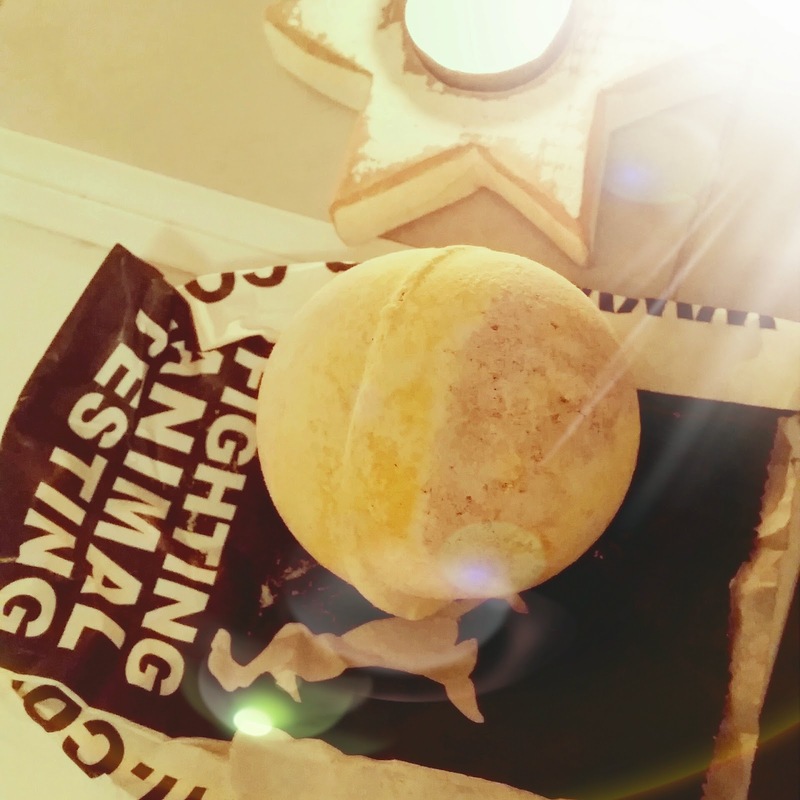 I was unsure what this bath bomb would end up smelling like, but was pleasantly surprised by the fresh lemongrass scent. This bath bomb gave the water a pale green hue (I added a chunk of a bubble bar in to add some bubbles) and made the water very soft and moisturizing - my skin felt so smooth afterwards from all the oils! Will I repurchase? Maybe. 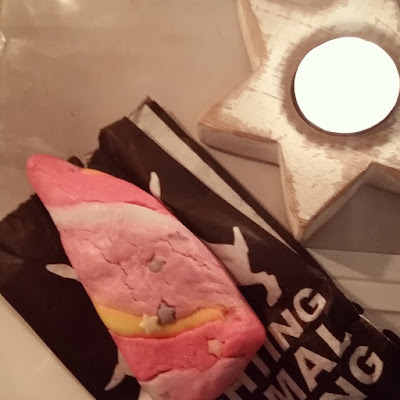 It's not the most exciting bath bomb but it did leave my skin feeling good. Will I repurchase? This one will definitely find its way into my shopping basket if it comes back for Christmas 2015! I bought this bath ballistic based on its scent - jasmine, one of my favourites! Floating Flower was part of this year's Valentines Day collection. It was absolutely beautiful to watch dissolve as it floated on the water, sending out waves of colour and foam! Will I repurchase? Yes, if it returns. 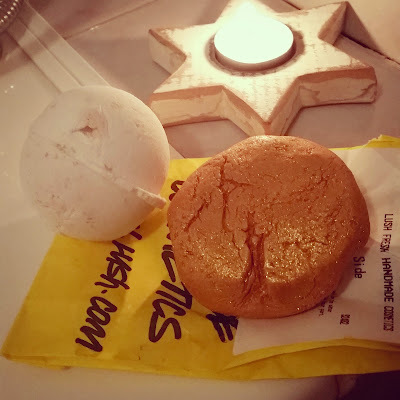 I love Golden Wonder so much, it's no surprise that I bought more than one this year! (I actually bought three - one I used on Christmas Day, and two more that I saved for when I needed a little something special!) I love the sweet orange scent, the turquoise water, the gold dust and the gold stars! Will I repurchase? Yes: Me + Golden Wonder 4eva! When I saw this year's Easter collection, I couldn't resist getting a Golden Egg! This bath melt didn't add much colour to the water, but it did give heaps of golden glitter and oils to moisturize the skin. Will I repurchase? Maybe, if I'm feeling in a glittery mood! 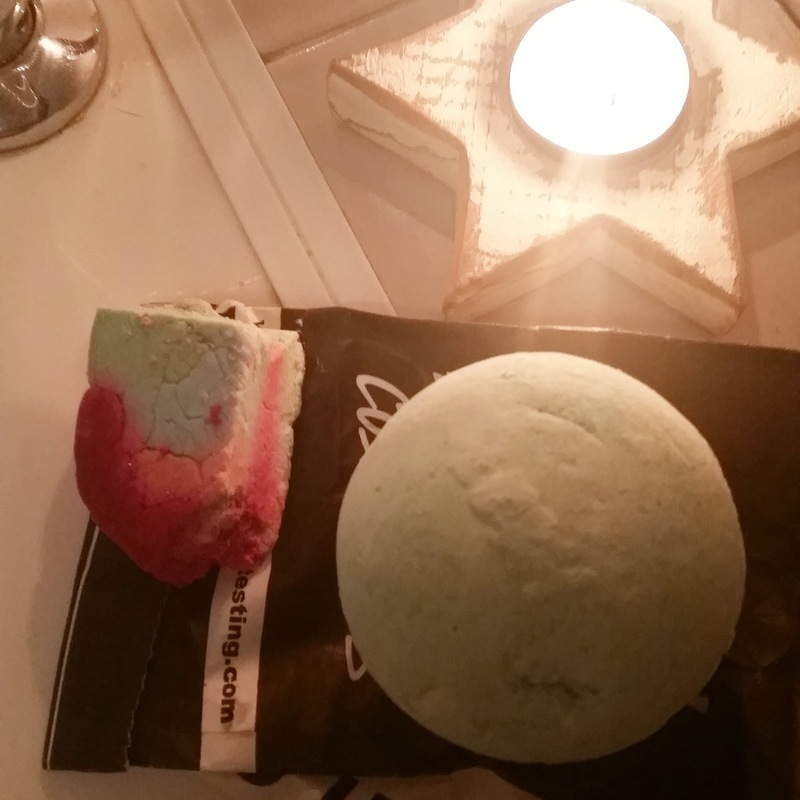 Blue, purple and green - this Easter edition bubble bar had all my favourite colours in one! 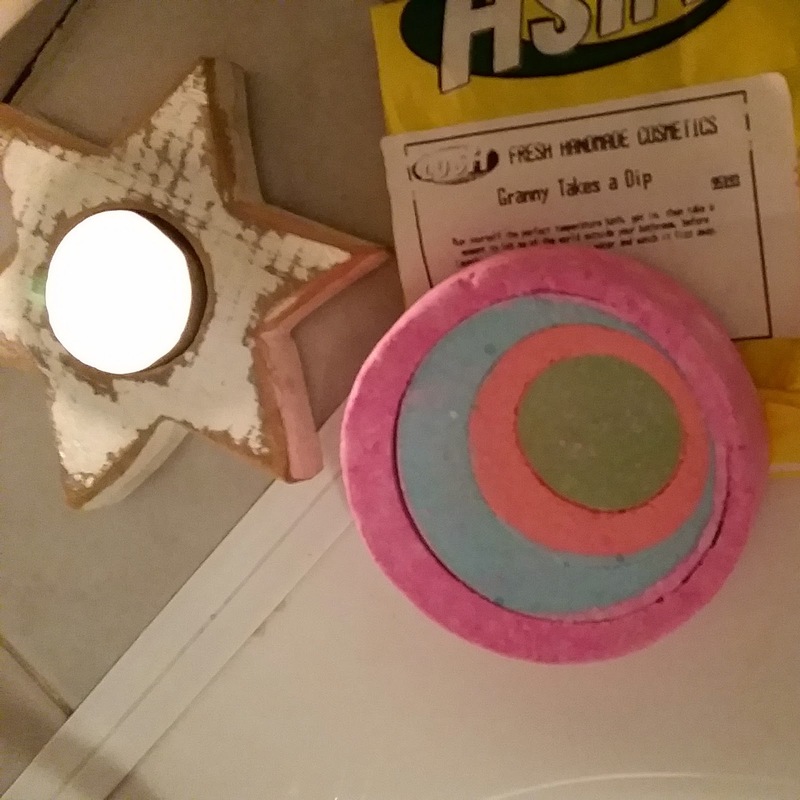 It contains ylang ylang and has a lovely complex scent, not too sweet, not too sulty, just right. It's the same size as The Comforter and such, big enough that if you cut it into quarters you still get a luxurious amount of bubbles! 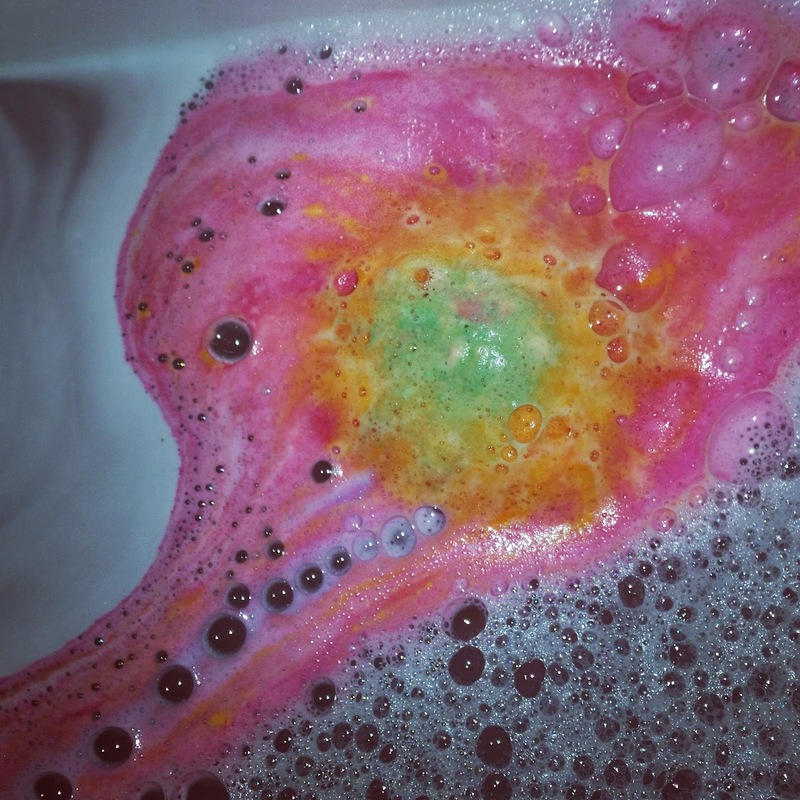 Depending on the predominant colour in the section I used, my bath water changed either blue-green or violet. Will I repurchase? Maybe. 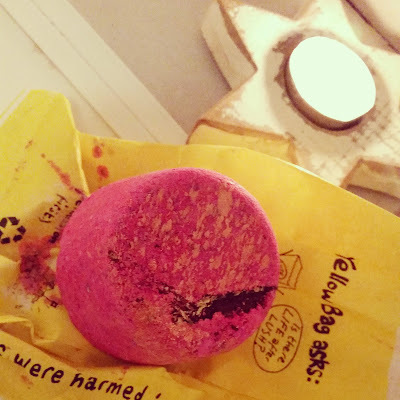 I love these big bubble bars, so if I needed another one when this one was released I would get it. Sunny Side almost rivals Golden Egg in terms of glitteriness! 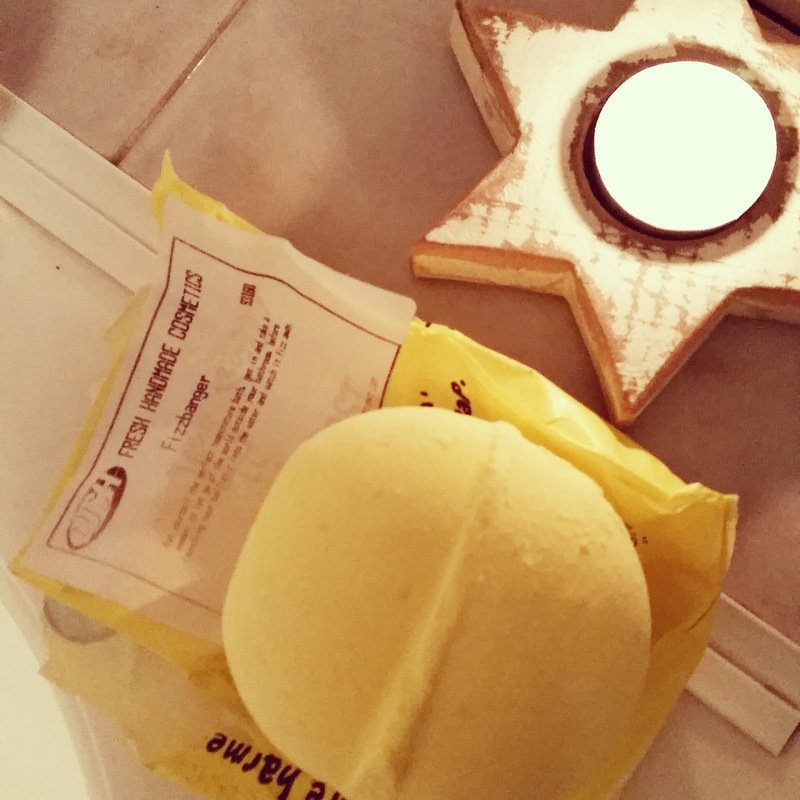 This bubble bar is citrus scented and produces lots of bubbles! Will I repurchase? Maybe, if I'm in the mood for some glitter. Butterball isn't the most exciting bath bomb, but I do like combining it with bubble bars (here I used one with Sunny Side, and one with The Comforter). It's perfect for dry skin, as it contains lots of cocoa butter. 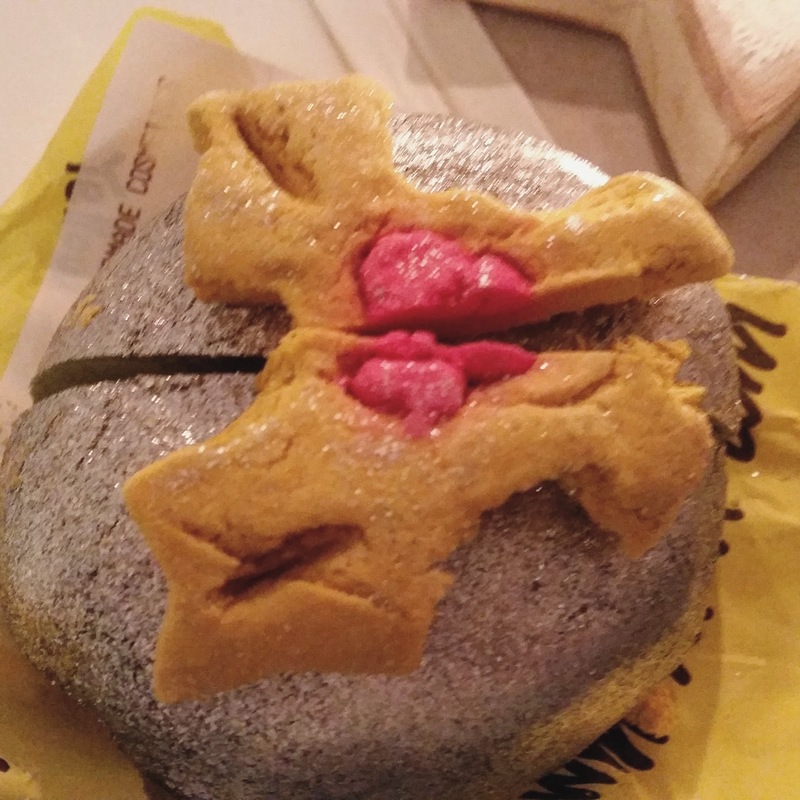 It's smaller than normal bath bombs and is a little bit cheaper as well. Will I repurchase? Yes, this is an oldie but goodie. I can see why this one is a cult favourite! 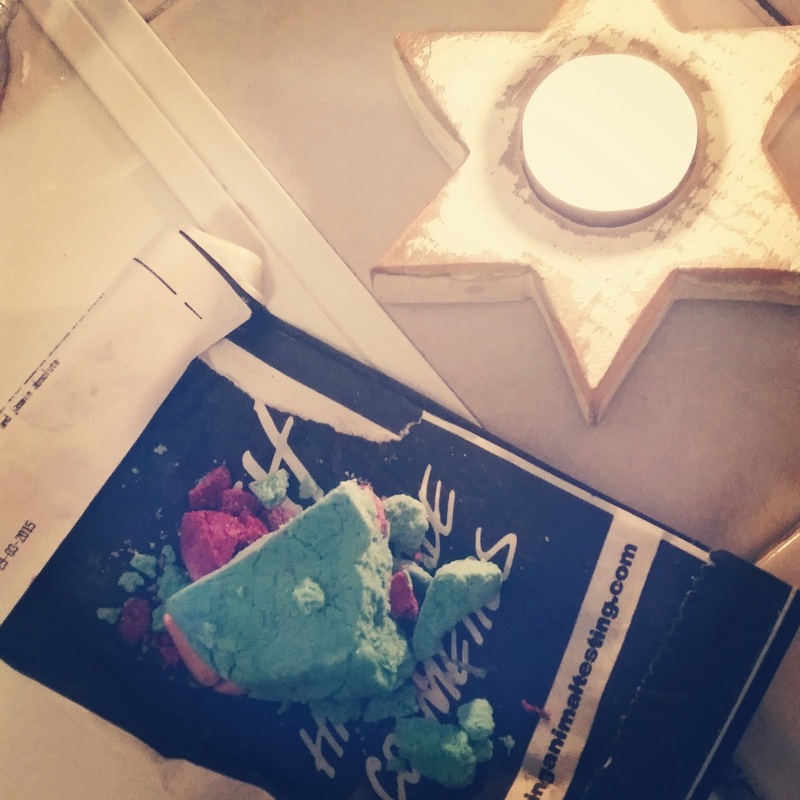 The Comforter smells of cassis (blackcurrent) and turns your bathwater pink with plenty of soft, scented bubbles! I use a quarter when doing some Lush mixology, or a half when I am feeling very very indulgent! Will I repurchase? Yes, absolutely! Now this one was really pretty to watch dissolve! As each ring takes its turn to fizz into the water, it adds streaks of bright colour! The ginger, pepper and lemon scent is perfect for winter, too. Will I repurchase? Yes, this one was fun! Phoenix Rising has a strong cinnamon scent, so definitely one for those who prefer headier fragrances. This one gives the water such beautiful colour and puts on a good show! The glitter and luster makes this bath worthy of royalty! Honey Bee's caramel scent is a Lush staple, used in several products. 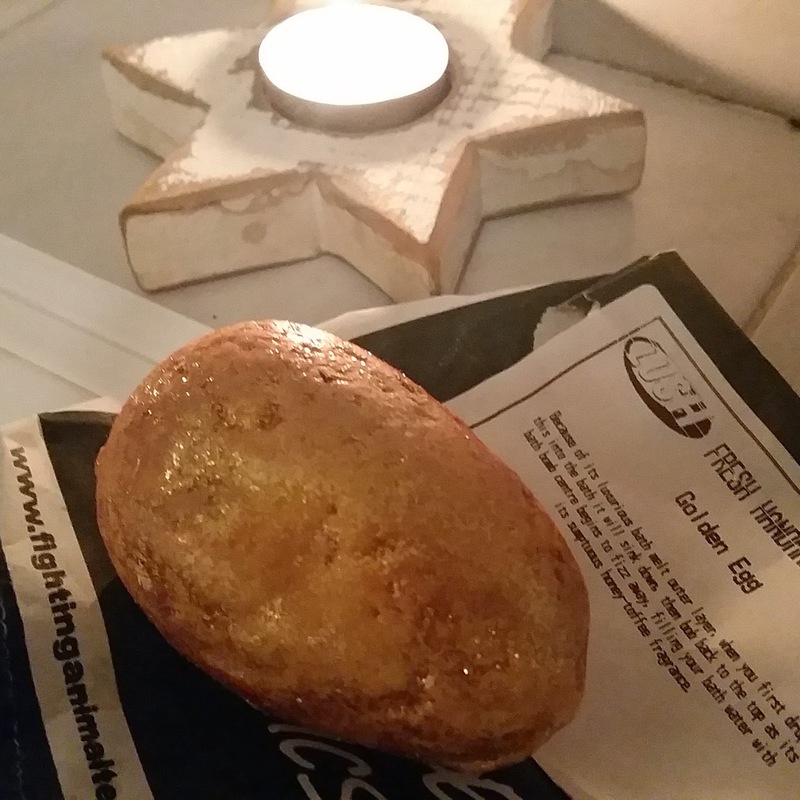 This one aims to cleanse and purify the skin, and is a great addition to a pamper evening. Phew, that was exhausting! Let me know in the comments section which of these bath goodies is your favourite, and which ones you want to try next! I'm also a huge Golden Wonder fan. Whenever I have a bath with a ballistic that has glitter in it (most of them do, though), I play in the water with a flashlight. It transformed bath ballistics for me, you should try it! 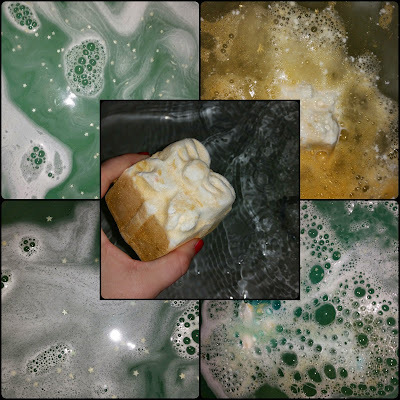 I felt that Lush's bubble bars can be expensive to get a lot of bubbles (not that I mind paying that much for a bath ballistic that I use once, but okay), so I googled how to get more bubbles out of them. Essence "Gel" Polish in Electric!